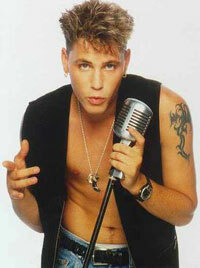 Corey Haim, eighties teen idol, died Wednesday morning of an apparent drug overdose, according to Los Angeles police. The Canadian-born actor, who starred in "The Lost Boys" but was probably best known for his roles with fellow actor Corey Feldman, was 38. He was found unresponsive at his Oakwood apartment around 3:30 a.m., according to KTLA-TV. His mother was at the apartment at the time of his death. The actor, who has struggled with drug addiction, was pronounced dead at Providence St. Joseph's Medical Center in Burbank, New York Daily News reports. Haim shot to fame in the '80s after starring in several teen films, including The Lost Boys, Lucas and License to Drive. Most notably, he collaborated numerous times with Corey Feldman, and the pair were dubbed "The Two Coreys." They starred in an A&E reality show with that name from 2007 to 2008. But Haim struggled with drug addiction for several years, People Magazine reported.